Nepenthes, tropical fauna better known as pitcher plants or monkey cups, may hold a remarkable breakthrough for medical devices, according to Harvard researchers. The plant produces a remarkably slippery substance on the inside of its "cup," causing insects to slide down and making escape impossible. Researchers and scientists at the Wyss Institute for Biologically Inspired Engineering at Harvard have now discovered a means of mimicking this solution to avoid the formation of blood clots caused by medical devices, according to NPR. When blood flows over an implanted surface, there is an increased risk of blood clots forming. This has been traditionally prevented through the use of blood thinning medications, which can also cause unwanted side affects. The report, published in the journal Nature Biotechnology, calls the substance SLIPS (Slippery Liquid-Infused Porous Surfaces). 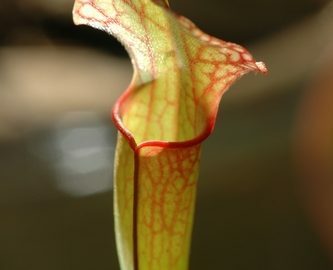 This man-made substance has the same characteristics as nepenthes, and has already been previously approved for medical applications by the FDA. So far, researchers have proved that SLIPS is effective at repelling blood from more than 20 different substrates, including those commonly used in medical devices, such as metal, plastic and glass. The coating was also proven to repel bacteria and suppress the formation of biofilm, helping to minimize the risk of infection. "Devising a way to prevent blood clotting without using anticoagulants is one of the holy grails in medicine," Don Ingber, M.D., Ph.D., Founding Director of Harvard's Wyss Institute for Biologically Inspired Engineering and senior author of the team's study, wrote in a statement accompanying the report. Medical Metrics, Inc. (MMI) is an experienced provider of independent imaging core lab services for global, multicenter clinical trials. We assist sponsors with designing the imaging strategy of their trials and deliver global clinical trial management, robust operating infrastructure and world-class imaging expertise.